The Corieltauvi (formerly thought to be called the Coritani, and sometimes referred to as the Corieltavi) were a tribe of people living in Britain prior to the Roman conquest, and thereafter a civitas of Roman Britain. Their territory was in what is now the English East Midlands. They were bordered by the Brigantes to the north, the Cornovii to the west, the Dobunni and Catuvellauni to the south, and the Iceni to the east. Their capital was called Ratae Corieltauvorum, known today as Leicester. 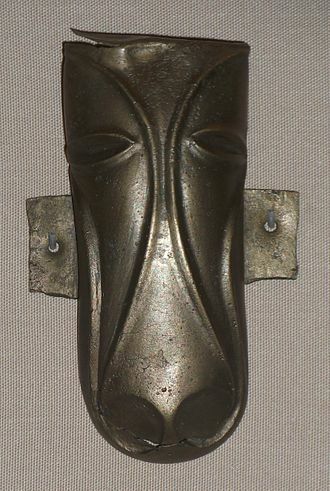 The Corieltauvi were a largely agricultural people who had few strongly defended sites or signs of centralised government. They appear to have been a federation of smaller, self-governing tribal groups. From the beginning of the 1st century, they began to produce inscribed coins: almost all featured two names, and one series had three, suggesting they had multiple rulers. The names on the earliest coins are so abbreviated as to be unidentifiable. Later coins feature the name of Volisios, apparently the paramount king of the region, together with names of three presumed sub-kings, Dumnocoveros, Dumnovellaunus and Cartivelios, in three series minted ca. 45 AD. The Corieltauvi had an important mint, and possibly a tribal centre, at Sleaford. The discovery in 2000 of the Hallaton Treasure more than doubled the total number of Corieltauvian coins previously recorded. In 2014 26 gold and silver ancient Corieltauvi coins were found in Reynard's Kitchen Cave in the UK. They seem to have offered little or no resistance to Roman rule: Ratae was captured c. AD 44, and it may have had a Roman garrison. The Fosse Way, a Roman road, passed through their territory. 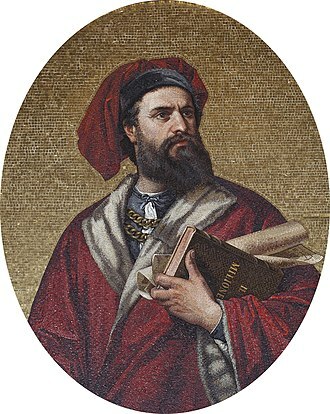 Their name appears as Coritani and Coritavi in Ptolemy's 2nd century Geography. However, the Ravenna Cosmography gives the name of their capital, in apparently corrupt form, as Rate Corion Eltavori, and an inscribed tile found in Churchover calls the administrative district Civitas Corieltauvorum, indicating that the true form should be Corieltauvi. Manley Pope, author of an early English translation of the Welsh chronicle Brut y Brenhinedd, associated the Coritani of the Roman writers with the magical race called the Coraniaid in the medieval Welsh tale Lludd and Llevelys. The name has been adopted by the athletics club, Leicester Coritanian A.C..
^ Tomlin, R. S. O. (1983). "Roman Leicester, a Corrigendum: For Coritani should we read Corieltauvi?" (PDF). Transactions of the Leicester Archaeological and Historical Society. 48. 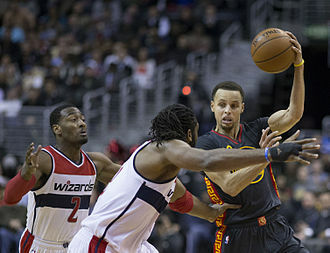 ^ Tomlin, R. S. O. (1983). "Non Coritani sed Corieltauvi". The Antiquaries Journal. 63. ^ Pope, Manley (1862). "A History of the Ancient Kings of Britain". London: Simpkin, Marshall, and Co. Retrieved April 21, 2009. The Atrebates were a Belgic tribe of Gaul and Britain before the Roman conquests. However it is possible that the Atrebates were a family of rulers, cognate with Old Irish aittrebaid meaning inhabitant, Atrebates comes from proto-Celtic *ad-treb-a-t-es, inhabitants. The Celtic root is treb- building, which has linked to the root of English thorpe. Edith Wightman suggested that their name may be intended to mean the people of the earth to contrast with that of the neighbouring coastal Morini, the Gaulish Atrebates lived in or around modern Artois in northern France. Their capital, Nemetocenna, is now the city of Arras, the place-name Arras is the result of a phonetic evolution from Atrebates and replaced the original name in the Late Empire, according to a well-known tradition in Gaul. The name Artois is the result of a different phonetic evolution from Atrebates, in 57 BC, they were part of a Belgic military alliance in response to Julius Caesars conquests elsewhere in Gaul, contributing 15,000 men. Caesar took this build-up as a threat and marched against it, but the Belgae had the advantage of position, when no battle was forthcoming, the Belgic alliance broke up, determining to gather to defend whichever tribe Caesar attacked. Caesar subsequently marched against several tribes and achieved their submission, the Atrebates joined with the Nervii and Viromandui and attacked Caesar at the battle of the Sabis, but were there defeated. After thus conquering the Atrebates, Caesar appointed one of their countrymen, Commius was involved in Caesars two expeditions to Britain in 55 and 54 BC and negotiated the surrender of Cassivellaunus. 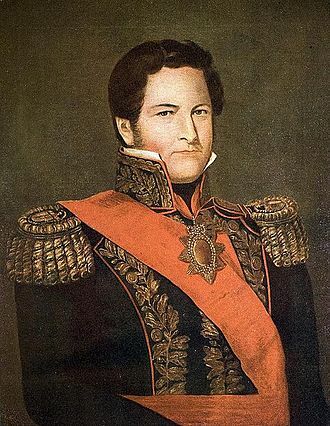 In return for his loyalty, he was given authority over the Morini. However, he turned against the Romans and joined in the revolt led by Vercingetorix in 52 BC. After Vercingetorixs defeat at the Siege of Alesia, Commius had further confrontations with the Romans, negotiated a truce with Mark Antony, and ended up fleeing to Britain with a group of followers. 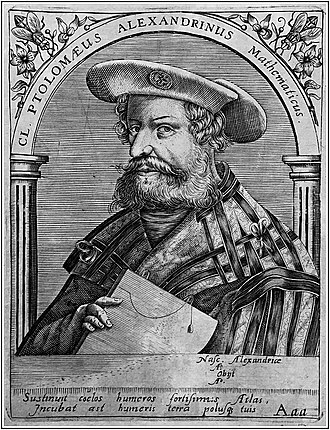 Ptolemys 2nd century Geography refers to the Atribati living on the coast of Belgic Gaul, near the river Sequana, Commius soon established himself as king of the British Atrebates, a kingdom he may have founded. Sleaford is a market town and civil parish in Lincolnshire, England. It is on the edge of the fertile Fenlands, about 11 miles north-east of Grantham,16 miles west of Boston, with a population of 17,671 at the 2011 Census, the town is the largest settlement in the North Kesteven district. Bypassed by the A17 and the A15, it is connected to Lincoln, Peterborough, Sleaford railway station is on the Nottingham to Skegness and Peterborough to Lincoln Lines. The first settlement formed in the Iron Age where a prehistoric track crossed the River Slea and it was a tribal centre and home to a mint for the Corieltauvi in the 1st centuries BC and AD. Evidence of Roman and Anglo-Saxon settlement has been uncovered, and by the late Saxon period the town was an economic and jurisdictional centre with a court and market. In the medieval period, records differentiate between Old and New Sleaford, the emerging in the areas around the present day market place. Sleaford Castle was constructed in the 12th century for the Bishops of Lincoln, granted the right to hold a market in the mid-12th century, New Sleaford developed into a market town and became locally important in the wool trade, while Old Sleaford declined. From the 16th century, the landowners were the Carre family, who operated tight control over the town, the manor passed from the Carre family to the Hervey family by the marriage of Isabella Carre to John Hervey, 1st Earl of Bristol, in 1688. The Sleaford Navigation brought economic growth until it was superseded by the railways in the mid-1850s, in the 20th century, the sale of farmland around Sleaford by Bristol Estates led to the development of large housing estates. The subsequent availability of affordable housing combined with the educational facilities. As a result, the population underwent the fastest growth of any town in the county in the 1990s. The arrival of the made the town favourable for malting. Industry has declined, and in 2011 the most common occupations are in wholesale and retail trade and social care, public administration and defence and manufacturing. Regeneration of the centre has led to the redevelopment of the old industrial areas. The earliest records of the place-name Sleaford are found in a charter of 852 as Slioford, in the Domesday Book, it is recorded as Eslaforde and in the early 13th century as Sliforde. Roman roads in Britain are long roads, mainly designed for military use, created by the Roman Army during the nearly four centuries that Britain was a province of the Roman Empire. It is estimated that the Romans constructed and maintained about 2,000 mi of paved roads throughout the province. The primary function of the network was to allow movement of troops and military supplies, but it provided vital infrastructure for commerce, trade. A considerable number of Roman roads remained in use as core trunk roads for centuries after the Romans withdrew from Britain in AD410. Some routes are now part of the UKs national road network in modern times, others have been lost or are of archeological and historical interest only. After the Romans departed, systematic construction of paved highways in the UK did not resume until the early 18th century, the Roman road network remained the only nationally-managed highway system within Britain until the establishment of the Ministry of Transport in the early 20th century. 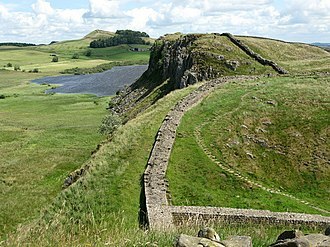 Prior to the Roman conquest of Britain, pre-Roman Britons mostly used unpaved trackways for travel and these routes, many of which had prehistoric origins, followed elevated ridge lines across hills, e. g. Although most routes were unpaved tracks, some British tribes had begun engineering roads during the first century BC, beginning in 43 AD, the Romans quickly created a national road network. Engineers from the Roman Army - in most cases - surveyed, key locations, both strategic and administrative, were connected by the most direct routes possible. Main roads were gravel or paved, had constructed in stone or wood. The roads impermeable design permitted travel in all seasons and weather, following the withdrawal of the Roman Legions in 410 AD, the road system soon fell into disrepair. Parts of the network were retained by the Anglo-Saxons, eventually becoming integral routes in Anglo-Saxon Britain, however large sections were abandoned and lost. The Fosse Way, from Exeter to Lincoln, was built at this time to connect these bases with each other. 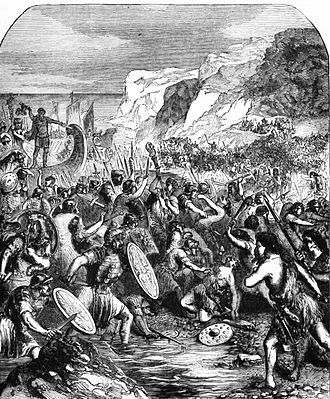 The Brigantes were a Celtic tribe who in pre-Roman times controlled the largest section of what would become Northern England. Their territory, often referred to as Brigantia was centred in what was known as Yorkshire. To the North was the territory of the Votadini, which straddled the present day border between England and Scotland, in modern Welsh the word braint means privilege and comes from the same root *brigantī. The name Bridget from Old Irish Brigit comes from Brigantī, from the same origin stems the name of the Italian sub-region of Brianza. In chronostratigraphy, the British sub-stage of the Carboniferous period, the Brigantian derives its name from the Brigantes. There are no records of the Brigantes before the Roman conquest of Britain. The names Portus Setantiorum and Coria Lopocarum suggest other groups, the Setantii and the Lopocares located on the Lancashire coast, the Carvetii who occupied what is now Cumbria may have been another sub-tribe, or they may have been separate from the Brigantes. This is often disputed as the Carvetii made up a separate civitas under Roman rule, a few of those who had taken up arms were killed and the rest were pardoned. In 51, the resistance leader Caratacus sought sanctuary with the Brigantian queen, Cartimandua. She and her husband Venutius are described as loyal and defended by Roman arms, during the governorship of Aulus Didius Gallus he gathered an army and invaded her kingdom. The Romans sent troops to defend Cartimandua, and they defeated Venutius rebellion, after the divorce, Cartimandua married Venutius armour-bearer and raised him to the kingship. Venutius staged another rebellion in 69, taking advantage of Roman instability in the Year of four emperors and this time the Romans were only able to send auxiliaries, who succeeded in evacuating Cartimandua but left Venutius and his anti-Roman supporters in control of the kingdom. After the accession of Vespasian, Quintus Petillius Cerialis was appointed governor of Britain and it seems to have taken many decades to complete. The Iceni or Eceni were a Brittonic tribe of eastern Britain during the Iron Age and early Roman era. Their territory included present-day Norfolk and parts of Suffolk and Cambridgeshire, and bordered the area of the Corieltauvi to the west, in the Roman period, their capital was Venta Icenorum at modern-day Caistor St Edmund. The Iceni were a significant power in eastern Britain during Claudius conquest of Britain in AD43, increasing Roman influence on their affairs led to revolt in 47, though they remained nominally independent under king Prasutagus until his death around AD60. Roman encroachment after Prasutagus death led his wife Boudica to launch a revolt from 60–61. Boudicas uprising seriously endangered Roman rule in Britain and resulted in the burning of Londinium, the Romans finally crushed the rebellion, and the Iceni were increasingly incorporated into the Roman province. The meaning of the name Iceni is unknown and this difference, Allen posits, tells archaeologists and historians when Prasutagus started his reign because the coins did not start reading the name of the tribe until around AD47. Archaeological evidence of the Iceni includes torcs — heavy rings of gold, silver or electrum worn around the neck, the Iceni began producing coins around 10 BC. Their coins were an adaptation of the Gallo-Belgic face/horse design, and in some early issues, most numerous near Norwich. Some coins are inscribed ECENI, making them the only coin-producing group to use their name on coins. The earliest personal name to appear on coins is Antedios, and other abbreviated names like AESU and it has been discovered that the name of Antedios’ succeeding ruler Prasutagus appears on the coins as well. Sir Thomas Browne, the first English archaeological writer, said of the Roman occupation and Iceni coins, That Britain was notably populous is undeniable, from that expression of Caesar. That the Romans themselves were early in no small Numbers, Seventy Thousand with their associates slain by Bouadicea, and no small number of silver pieces near Norwich, with a rude head upon the obverse, an ill-formed horse on the reverse, with the Inscriptions Ic. Brut y Brenhinedd Chronicle of the Kings is a collection of variant Middle Welsh versions of Geoffrey of Monmouths Latin Historia Regum Britanniae. 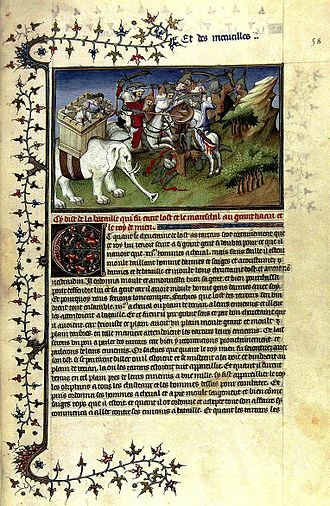 About 60 versions survive, with the earliest dating to the mid-13th century, Geoffreys Historia Regum Britanniae purports to narrate the history of the Kings of Britain from its eponymous founder Brutus of Troy to Cadwaladr, the last in the line. 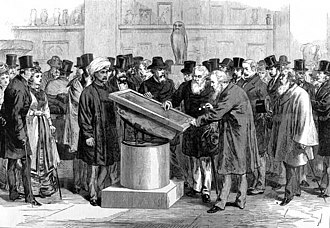 Geoffrey professed to have based his history on a very ancient book written in britannicus sermo which he had received from Walter of Oxford. The influence is most clearly evidenced by the existence of several translations into Welsh from the 13th century onwards, the manuscript history of these texts is a rich and long one attesting to the production of several translations and new redactions, most of which were copied many times over. One notable area in which Welsh translators have corrected or adapted Geoffrey based on native traditions is that of personal names, Geoffreys Hely, for instance, was substituted for Beli Mawr, an ancestor figure who appears in Branwen ferch Llŷr and elsewhere in Middle Welsh literature. There are about sixty attestations of the Welsh Brut in the manuscripts, the Brut in NLW, Llanstephan MS1, is a relatively close translation of Geoffreys Historia. The Brut in NLW, Peniarth MS44 and this text becomes increasingly more condensed towards the end, omitting Merlins prophecy in the process on stated grounds that it lacks credibility. Yet it has the quality of being the first Brut to incorporate the tale Lludd. Brut Dingestow, now in MS Aberystwyth, NLW5266, once appears to have been in MS6 of the Dingestow court collection, the text is a relatively faithful translation, aided by its occasional reliance on Llanstephan MS1. A revised version, presumably from south Wales, was produced which follows the Dingestow version up to the end of Merlins prophecy, copied in numerous MSS, this conflated version is most famously represented by the text in the Llyfr Coch Hergest or Red Book of Hergest. 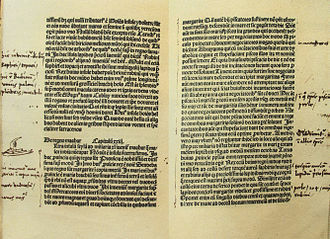 In most every manuscript, it is preceded by the Ystorya Dared, i. e. a Welsh translation of the De Excidio Troiae ascribed to Dares Phrygius, and followed by the Brut y Tywysogion. 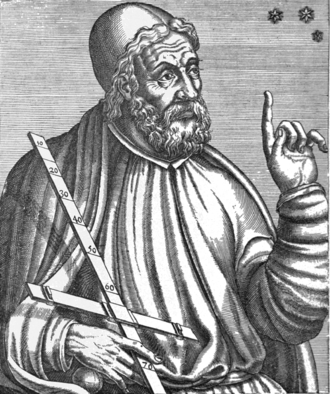 Claudius Ptolemy was a Greek writer, known as a mathematician, geographer and poet of a single epigram in the Greek Anthology. He lived in the city of Alexandria in the Roman province of Egypt, wrote in Koine Greek, beyond that, few reliable details of his life are known. His birthplace has been given as Ptolemais Hermiou in the Thebaid in a statement by the 14th-century astronomer Theodore Meliteniotes. This is a very late attestation and there is no reason to suppose that he ever lived elsewhere than Alexandria. Ptolemy wrote several treatises, three of which were of importance to Byzantine and European science. The first is the astronomical treatise now known as the Almagest, although it was entitled the Mathematical Treatise. 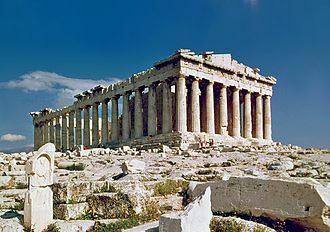 The second is the Geography, which is a discussion of the geographic knowledge of the Greco-Roman world. The third is the treatise in which he attempted to adapt horoscopic astrology to the Aristotelian natural philosophy of his day. 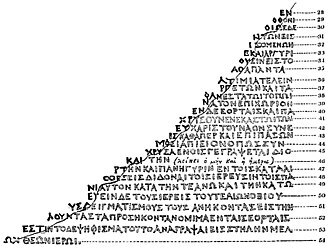 This is sometimes known as the Apotelesmatika but more known as the Tetrabiblos from the Greek meaning Four Books or by the Latin Quadripartitum. The name Claudius is a Roman nomen, the fact that Ptolemy bore it indicates he lived under the Roman rule of Egypt with the privileges and political rights of Roman citizenship. 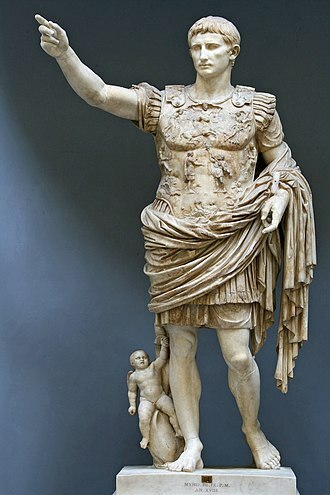 It would have suited custom if the first of Ptolemys family to become a citizen took the nomen from a Roman called Claudius who was responsible for granting citizenship, if, as was common, this was the emperor, citizenship would have been granted between AD41 and 68. The astronomer would have had a praenomen, which remains unknown and it occurs once in Greek mythology, and is of Homeric form. All the kings after him, until Egypt became a Roman province in 30 BC, were Ptolemies, abu Mashar recorded a belief that a different member of this royal line composed the book on astrology and attributed it to Ptolemy. The correct answer is not known”, Ptolemy wrote in Greek and can be shown to have utilized Babylonian astronomical data. He was a Roman citizen, but most scholars conclude that Ptolemy was ethnically Greek and he was often known in Arabic sources as the Upper Egyptian, suggesting he may have had origins in southern Egypt. The Hallaton Treasure, the largest hoard of British Iron Age coins, was discovered in 2000 near Hallaton in southeast Leicestershire, England, by volunteers from the Hallaton Fieldwork Group. The initial find was made by Ken Wallace on 19 November 2000, the hoard includes over 5,000 silver and gold coins, a silver-gilt Roman parade helmet and other objects. Most of the date to around the time of the Roman Conquest of Britain in the 1st century AD. Of the coins from the site,4,835 can be attributed to the local tribe and this find more than doubled the total number of Corieltauvian coins previously recorded. A silver Roman coin from the hoard has been dated by local museums to 211 BC, some archaeologists have however speculated that it found its way into Britain before the Roman conquest in 43 AD and is evidence of exchange through trade or diplomacy. The site of the proved to be an internationally important ritual site dating mostly to the generations before. Archaeologists believe that the site is a type of open air shrine that is the first of its kind to have discovered in the UK. The Catuvellauni were a Celtic tribe or state of southeastern Britain before the Roman conquest, attested by inscriptions into the 4th century. The fortunes of the Catuvellauni and their kings before the conquest can be traced through ancient coins and they are mentioned by Cassius Dio, who implies that they led the resistance against the conquest in AD43. Their territory was bordered to the north by the Iceni and Corieltauvi, to the east by the Trinovantes, to the west by the Dobunni and Atrebates, and to the south by the Regnenses and Cantiaci. 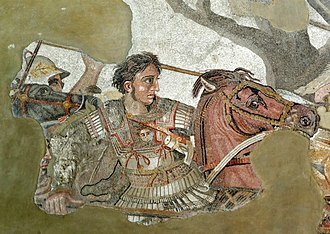 The Catuvellauni are part of the Aylesford-Swarling archaeological group in Southern England often linked to Belgic Gaul, john T. Koch conjectures that the Battle of the Catalaunian Plains and the modern name of Châlons-en-Champagne. 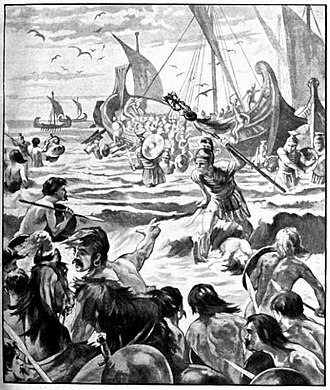 Cassivellaunus, who led the resistance to Julius Caesars first expedition to Britain in 54 BC, is taken to have belonged to the Catuvellauni. His tribal background is not mentioned by Caesar, but his territory, north of the Thames and to the west of the Trinovantes, the extensive earthworks at Devils Dyke near Wheathampstead, Hertfordshire are thought to have been the tribes original capital. Tasciovanus was the first king to mint coins at Verlamion, beginning ca 20 BC and he appears to have expanded his power at the expense of the Trinovantes to the east, as some of his coins, ca 15–10 BC, were minted in their capital Camulodunum. This advance was given up, possibly under pressure from Rome, Camulodunum was retaken, either by Tasciovanus or by his son Cunobelinus, who succeeded him ca AD9 and ruled for about 30 years. Little is known of Cunobelinuss life, but his name survived into British legend, geoffrey of Monmouth says he was brought up at the court of Augustus and willingly paid tribute to Rome. Archaeology indicates increased trading and diplomatic links with the Roman Empire, under Cunobelinus and his family, the Catuvellauni appear to have become the dominant power in south-eastern Britain. His brother Epaticcus gained territory to the south and west at the expense of the Atrebates until his death ca AD35, the grave of the Druid of Colchester dates to this period, providing evidence of medical practices and technology within the Catuvellauni tribe. Walkington is a village and civil parish in the East Riding of Yorkshire, England. It is situated approximately 3 miles to the south-west of the town of Beverley on the B1230 road, the civil parish is formed by the village of Walkington and the hamlet of Broadgate. According to the 2011 UK census, Walkington parish had a population of 2,337, the village is the former home of a mental asylum, named Broadgate Hospital, built on the grounds of a Broadgate Farm, and opened in 1871. The hospital closed in 1989 to make way for housing developments. Broadgate Farm which is located between the village of Walkington and the Broadgate housing estate has now developed into a complex of holiday cottages named Broadgate Farm Cottages. The village has three houses located along the main road, East End. From West to East, these are the Dog and Duck, the Ferguson Fawsitt Arms, in the centre of Walkington is the village pond, which can be seen to be a major focal point for the residents of the village. The village school is situated in Crake Wells, a street in the East End of the village. Ratae Corieltauvorum or simply Ratae was a town in the Roman province of Britannia. Today it is known as Leicester, located in the English county of Leicestershire, Ratae is a latinate form of the Brittonic word for ramparts, suggesting the site was an Iron Age oppidum. This generic name was distinguished by, the name of the Celtic tribe whose capital it served as under the Romans, the native settlement encountered by the Romans at the site seems to have developed in the 2nd or 1st centuries BC. This area of the Soar was split into two channels, a stream to the east and a narrower channel on the west. The settlement seems to have controlled a ford across the larger channel, two legionary fortresses were established, one at Isca in the southwest corner of the territory and the other at Lindum in the northeast. A road, now known as the Fosse Way, was established between the two to help control the border. The Fosse Way crossed the Soar close to the site of the British settlement, one of the enigmas of Rataes early development was whether or not there was ever a garrison stationed in the vicinity. The location—at a river crossing on a road near a native settlement—would have been an ideal place for a fort. As yet, there is evidence of one, only a single V-shaped ditch with a drainage slot at the bottom. This ditch is similar in form to a type of military ditch known as a ditch, with one side steeper than the other. Although the suggestion that a Roman fort was established between two arms of the Soar around AD50 cannot be ruled out, there is no evidence yet discovered of an associated fort, Ratae seems to have remained a rather poor settlement. Although there was a rebuilding programme to develop larger shops and houses, there were few amenities. Instead of a forum, there was an open marketplace at the centre. However, in the early 2nd century, better-quality spacious stone houses were erected with central courtyards and it was not occupied for long and part of it became a factory for the manufacture of horn objects. Other industries in the town included pottery production and metal and glass working, the forum and basilica were built, though it did not fill the previous marketplace. Roman campaigns from AD 43 to 60. Campaigns under Aulus Plautius, focused on the commercially valuable southeast of Britain. An electrum stater of the Corieltauvi, probably struck at Sleaford in the mid-1st century BC. Diameter 17–19 mm. Officer Training School at RAF Cranwell, near Sleaford. British Celts, gold stater from the Durotriges. 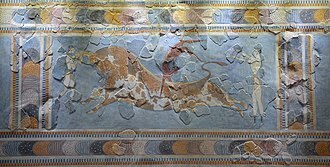 Chute type with strongly Celticized, disjointed horse right and abstract head of Apollo. A military diploma, or certificate of successful military service, granting citizenship to a retiring soldier and the dependents he had with him at the time. The key phrase is "est civitas eis data" where civitas means citizenship. Silver coin of the Dobunni tribe. Stater of Tincomarus, king of the Atrebates. Tribes of Wales at the time of the Roman invasion. The modern Anglo-Welsh border is also shown, for reference purposes.